Blue skies and sunshine on Tuesday afternoon made for a rousing start of Tech Square Summer Camp 2018, with interns of several local companies attending as the guests of honor for Grill + Chill outside in the Tech Square Plaza. 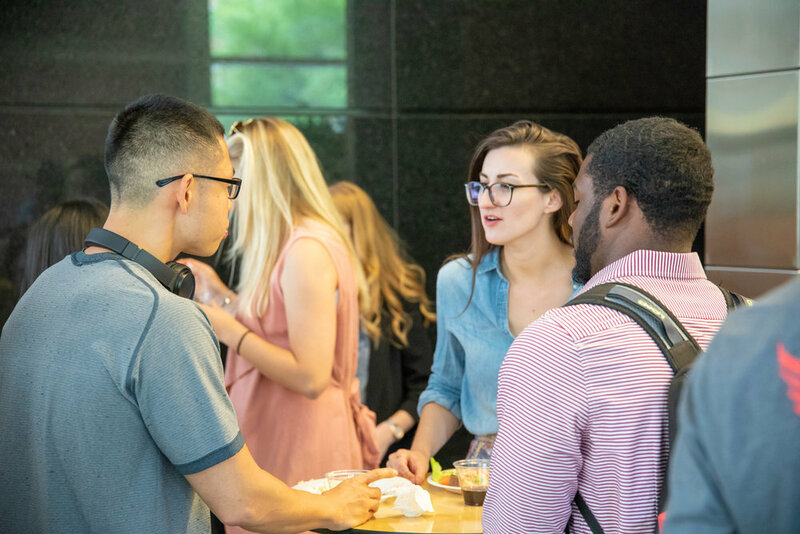 Summer interns connected with the Tech Square ATL community while mingling and relaxing after the work day. Tasty treats included burgers (beef and veggie), corn on the cob, chicken wings, and plenty to drink. 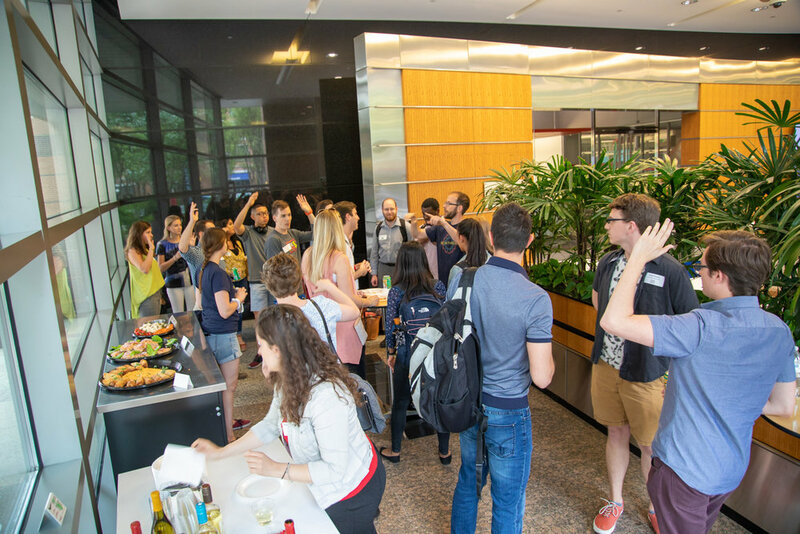 Tech Square Summer Camp 2018 runs from June 5 - July 24 and offers a variety of outside-of-work opportunities for interns to meet interns from other companies and connect with the wider Tech Square ATL community. Supper Clubs, Mentor Circles, Outdoor Adventures, and Community Service projects weave together an experience to help the interns grow their networks and grow as a whole person. Companies taking part this year include: Apptega, AT&T Foundry, ATDC, Delta Air Lines, Emrgy, Georgia Power, Honeywell, Medxoom, Rimidi, Riise Venture, Sandbox Communities, Springboard Benefits, The University Financing Foundation (TUFF), and Thrust. 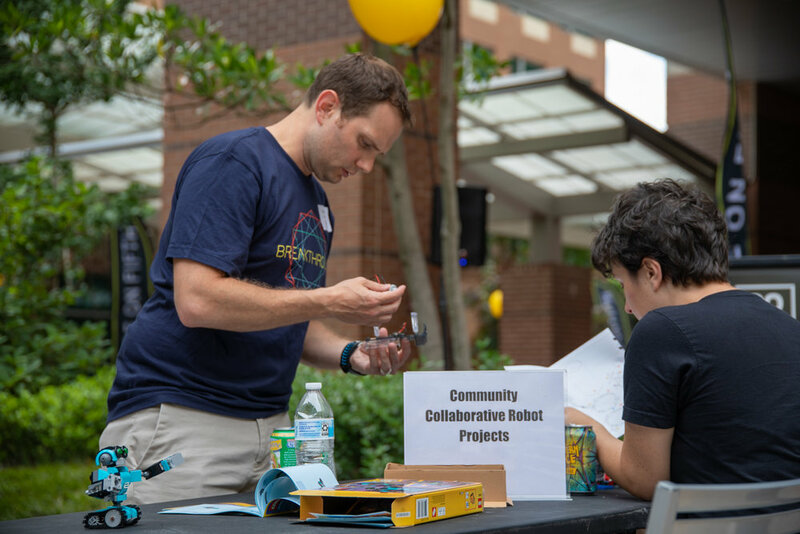 In addition to the programming, each Tech Square Summer Camper will enjoy a full Tech Square ATL membership during the summer, including access to the collaborative workspace hours at The Garage, and weekly small group gatherings like Power Meals and Coffee Talks. What's Up With Artificial Intelligence?